Legislation, more staff, new office..oh, my! And did I mention I had another back surgery? Yeah, May turned into June. The sun is out. Air conditioners are running. Senator Nofs passed his big energy bills out of committee. Certainly, MEECA is seeing the fruits of the vision set forth by our Founding Members, as stewarded by our Board and carried out to the best of our abilities with the resources currently available. We have a new office located in Keller’s Plaza, Williamston, MI just east of Lansing. This office is being subsidized by the Michigan Air Conditioning Contractors Association (MIACCA). As I am also their executive director, and the two associations are now working together more on industry issues, now is the time to get more serious and position both these associations for continued growth and impact. 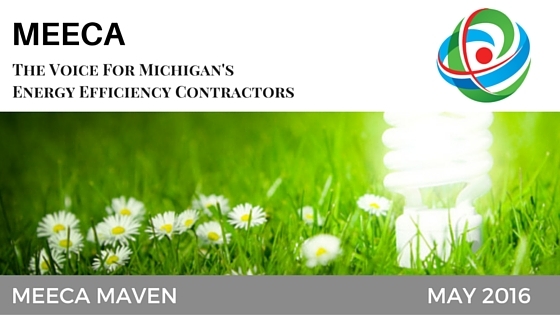 In this month’s Maven you’ll see all what we’ve been up to and advocate for seeing expansion in Michigan’s integrated energy efficiency industry. Thanks for all the support on my health…I’m doing ok. Earlier this month, we asked our members to participate in a survey about the services membership with MEECA provides. This survey provided insights on what the association was doing well, as well as, what we could improve on. What do you say when someone asks you why you are a MEECA member? "Why Are You A MEECA Member?" 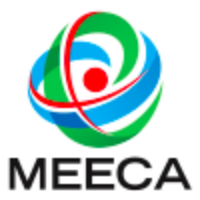 MEECA has become the association it is today due to the POWER in Numbers membership provides. We bring value to our members helping grow and strengthen their business. Using the power of "word of mouth" marketing, we have developed a tool to help our members spread the word about MEECA so we can continue being effective at being the voice for Michigan's energy efficiency contractors. Save the date for MEECA's Membership Mixer at NextEnergy sponsored by Development Solutions. This mixer will take place on Thursday, June 30th, 2016 from 5:30PM-7:30PM. This mixer is a part of the DNV GL Trial Membership Program for DTE Energy Commercial and Industrial Program Designated Trade Allies. Click Here for more information including agenda and special guests. MEECA was in attendance at the 2016 Consumers Energy Excellence in Energy Efficiency Awards Banquet. 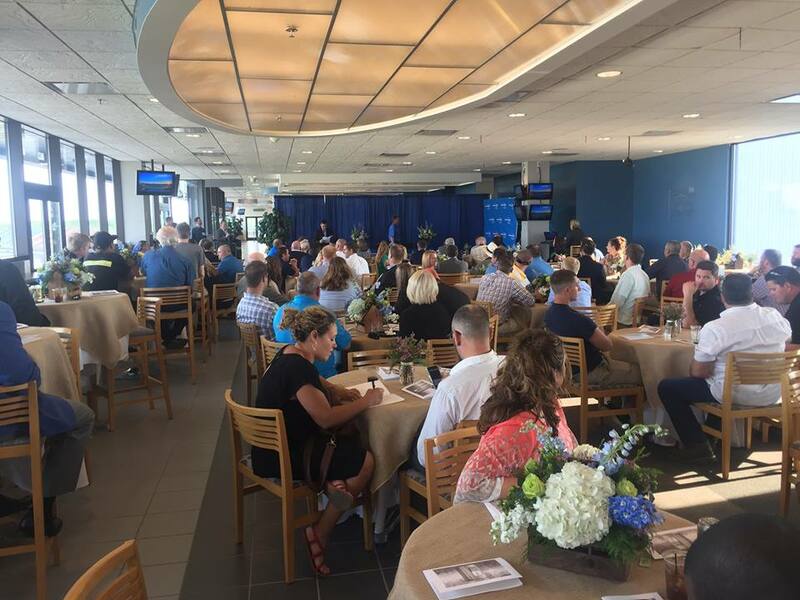 The banquet held on May 25, 2016 at Michigan International Speedway (MIS) Champions Club recognized the accomplishments of high performing residential trade allies. Click Here to view high performing MEECA members that were recognized. This summer MEECA is very thankful to have the assistance of two Michigan State University students. There is plenty to do! MEECA is pleased to be in a position to offer these two young adults the chance to dive deep into the world of association management and energy efficiency. Click Here to learn more about our newest staff additions and what they will be doing for the association. Will It Streamline the Licensing Process? Senate Bill No. 963 Skilled Trades Act was introduced on May 18, 2016 by Senator Ken Horn (R - Saginaw). 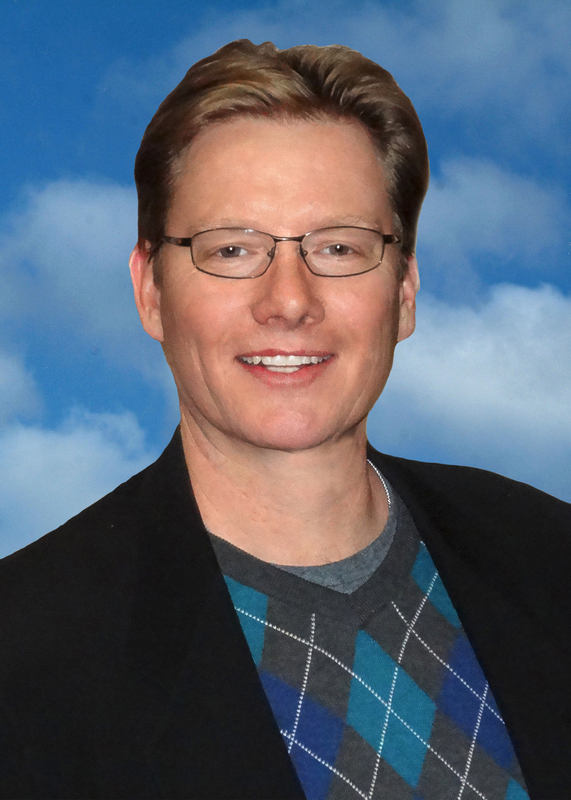 In what is to be known as the Skilled Trades Regulation Act (STRA), the goal as articulated by Senator Horn is to streamline the licensing application, examination and renewals for the tens-of-thousands of license applicants and renewals processed each year by the Bureau of Construction Codes (BCC). This bill is one result of a two-step streamlining initiative undertaken by Governor Synder. The first step dubbed, Reinventing Performance for Michigan (RPM) had the mandate that all regulatory departments ruled in stricter accordance with Michigan statutes. With rules now inline with the law, each department began the second phase of finding ways to streamline the administration of their departments. Known as Lean Process Improvement (LPI), department or division evaluated ways to improve services to those citizens and constituencies they serve. The Michigan Licensing and Regulatory Affairs (LARA) department developed an outline to create a single point of access for skilled trades license candidates and holders. STRA is the result of the LARA’s attempt to streamline BCC’s licensing process; however, only for five (5) specific trades: electricians, plumbers, HVACR contractors, boiler installation and service and registered building officials and inspectors. MEECA and MIACCA are currently neutral on this package of bills. 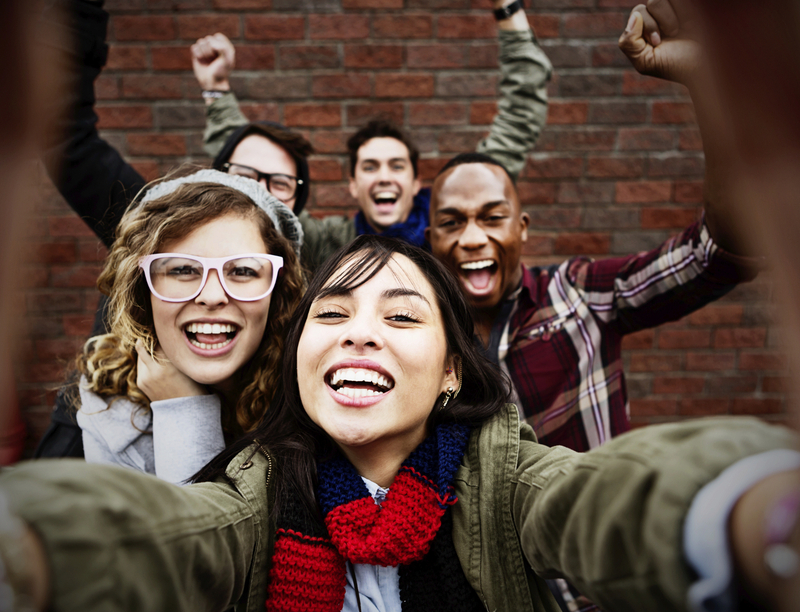 Utility companies are encountering a new face of the customer: Millennials. This generation possesses an entirely new consumer behavior, from how they engage to how they transact. Millennials manage life and work needs almost entirely online, and even through their mobile devices, from shopping to online banking to bill pay. Are you adapting to your new age clientele?